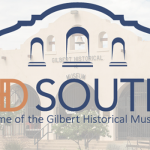 Gilbert Historical Museum holds artifacts, photographs, oral histories and archives that chronicle Gilbert’s rich history. 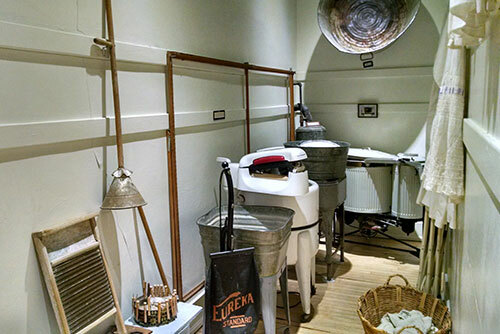 Stroll through our exhibits to explore the rich history of our town. Don’t forget to stop by the HD SOUTH Gift Shop to pick up a souvenir before you leave. The gift shop used to be the school nurse’s office and the south gift shop used to be the principal’s office! What was like life at home in Gilbert in the early to mid 20th century? 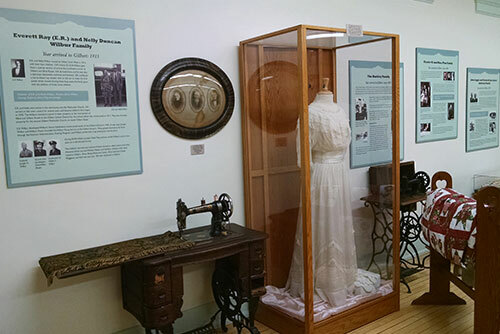 As well as being home to our active quilting bee; this exhibit contains a variety of artifacts of common household items from that period, an antique telephone collection, as well as, clothing worn by Gilbertonians from the 1920s to the 1960s. 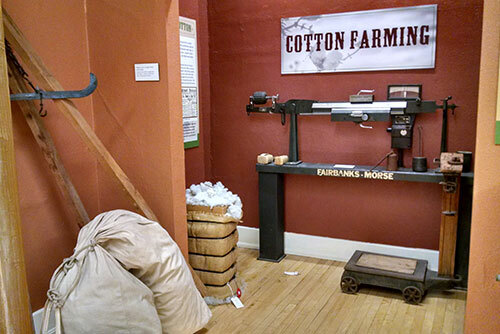 In the Farming Exhibit you’ll discover more about Gilbert’s deep agricultural roots. Gilbert was once known as the Hay Shipping Capital of the World. Alfalfa, cotton and dairy farms were vital to the success of the town in the early 20th Century. Did you know there was even an ostrich farm? Learn more about the early farming families, check out the blacksmith shop, and enjoy hands on activities about farm tools and machines. Also, watch an interactive video about the Morrison Brothers. Kids, make sure to stop by our imagination station also located in this exhibit. Learn how our community’s amenities have evolved as our population grew from less than 1,000 to over 250,000. 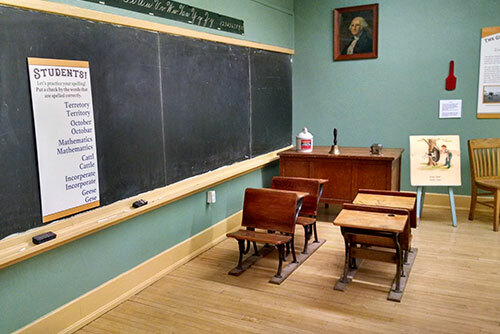 See a map of Gilbert with boundaries from different eras, and get a taste of old school life in an early 20th century classroom; the older Gilbert generation may remember when they ran through the halls of this glorious old school building as students. Kids can get hands-on with Gilbert and learn “How to build a town” with model buildings. 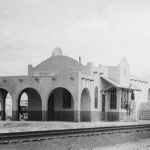 Gilbert was named after land speculator William (Bobby) M. Gilbert, who sold his land to the railroad. The railroad established a siding at the site, around which the town started to grow. As the town grew, businesses started to flourish. Learn about the early Gilbert businesses that occupied some of the buildings that still stand in the Heritage District. Of course, with a growing population, Gilbert’s public safety needs also increased. 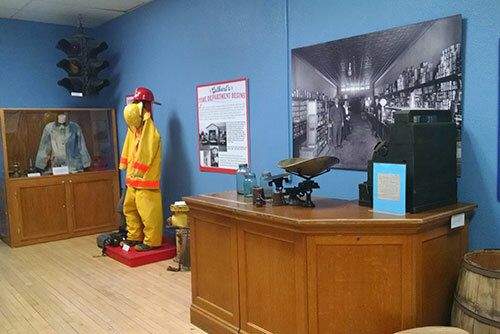 Learn more about the evolution of Gilbert’s police and fire departments. Gilbert wouldn’t be Gilbert without the railroad; in fact if it wasn’t for the track, we wouldn’t be here! The sound of train horns blasting are constant reminders of Gilbert’s railroad past. 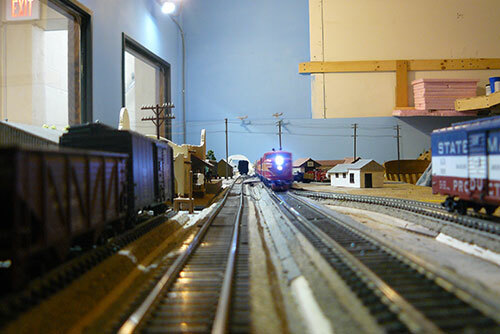 Our Model Train exhibit is an ongoing project with our partnership with the Gilbert Model Railroad Club (GMRC). Our exhibit depicts the railroad as it was around WWII, showing the trains’ route to and from Gilbert. 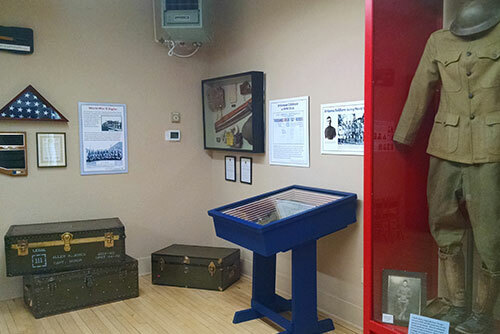 Visit the exhibit and the GMRC Tuesday and Thursday from 7 p.m.-10 p.m. and Saturdays 10 a.m-1 p.m. During regular museum hours only the Gilbert portion of the track is available to view. 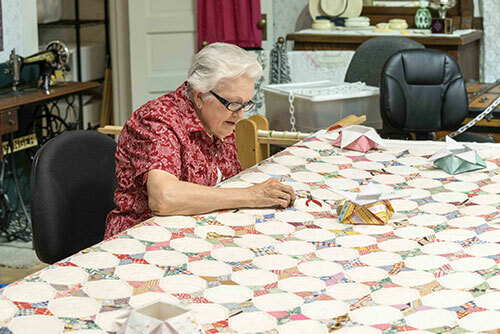 We’re proud to continue a traditional American craft – the art of hand-quilting lives on year-round at HD South. Our live quilting bee is one of only a handful of quilting bees in the country to still operate all year; you can find the live exhibit in our Home Life room. Our group of quilting volunteers works on traditional wooden quilting frames to finish quilt tops from the public. Their work benefits the museum financially, with proceeds from the completion of each quilt going to the museum. Stop by and say hello to the quilters in the Home Life exhibit during your next visit; you’ll find them there most Tuesday, Thursday and Saturday mornings. 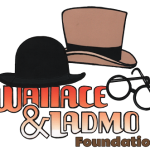 If you have any questions about any of our exhibits, please give us a call at 480.926.1577 or use our contact form.